Looking for the way to convert HEIC to JPF free? This post will tell you free methods you can use to change HEIC files to JPG on both Windows and Mac with ease. HEIC is the new image format developed by Moving Picture Experts Group (MPEG). 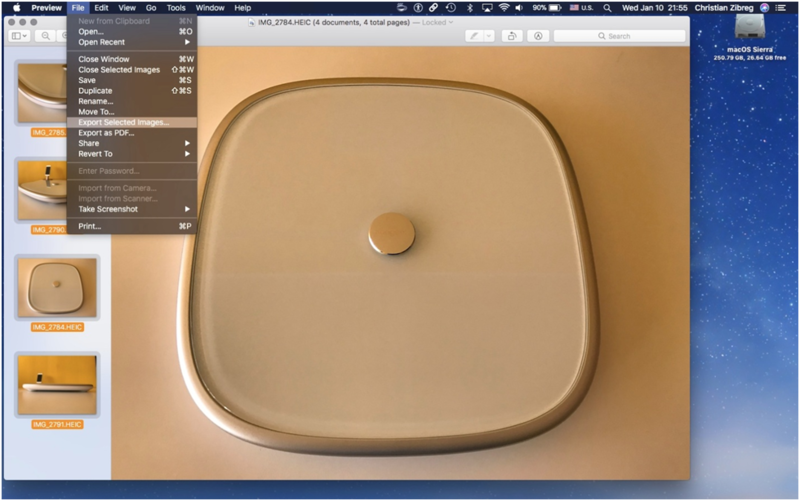 It is the standard image format for macOS High Sierra and iOS 11. 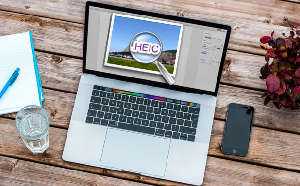 The HEIC files are also known as High-Efficiency Image File Format (HIEF) and these files can contain a single image, image bursts, collection of images or image sequences. The HEIC format (lossy compressed) is based on the technology called High-Efficiency Video Compression (HEVC). It has replaced JPEG format and now, images are saved in HEIC format on iPhone running iOS 11 or Mac running on macOS High Sierra. HEIC files are half of the JPEG format size, without sacrificing image quality. However, HEIC files have some compatibility issues. Though the new file format is automatically converted to JPEG format when you save it to cloud storage or social media, there are many image editor applications that can’t open HEIC files. So, the HEIC file is not widely compatible like JPEG format and that’s why you may need to change HEIC to JPG. 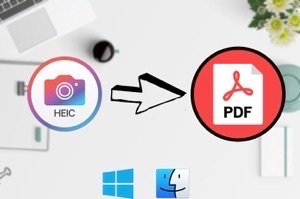 And here, in this post, we will show you how to convert HEIC to JPG free on Windows and Mac OS. Unfortunately, Windows Photo Viewer and Windows Explorer can’t open the HEIC files. 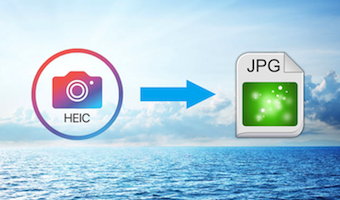 You need to rely on the third-party tools or online HEIC converter tool to convert HEIC file to JPEG so that you can open it on your Windows PC. 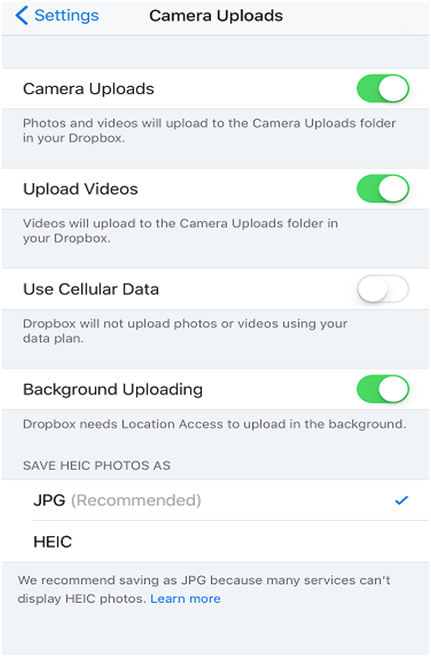 Or you can also use DropBox to view HEIC files as the cloud utility, DropBox support the HEIC new image format. If you have Windows 10 PC, then you can use the Photos app of your system to view the HEIC files. But, you need to install the HEIF Image Extensions from Microsoft Store to view the HEIC file using the Photos app. However, if you want to convert HEIC file to JPG format on Windows 10 PC, then again you need to use a free online HEIC converter tool. HEIC files are fully supported by Apple Photos and Apple Preview for macOS high Sierra or later. So, if you have Mac running below macOS High Sierra, you can’t open the HEIC files and again, you need an online HEIC converter tool that will convert HEIC file into a most compatible format. Step 1Go to Finder, open the folder that contains HEIC photos you want to convert to JPG format. After that, select the files you want to change. Step 2Thereafter, right-click on the highlighted images and then, click on “Open With” and then, choose “Preview App” option. Step 3 Next, selected HEIC images will open in the Preview App. Then, click “Edit” and then, choose “Select All”. After that, click “File” and then, select “Export Selected Images”. Step 4Then, eventually, tap on “Options” and then, choose “JPEG” format from the format menu. Step 1Launch the DropBox app on your iPhone and then, go to Settings and here, click on the “Camera Uploads”. Step 3Now, run the DropBox for Mac on your Mac system and download uploaded photos on your Mac from DropBox. This online tool offers various options for the image quality, which are High, Medium and Standard. It is a virus-free and malware-free online tool that will aid you to convert your HEIC photos to JPEG securely and safely. It is fully compatible with both Windows and Mac operating system. 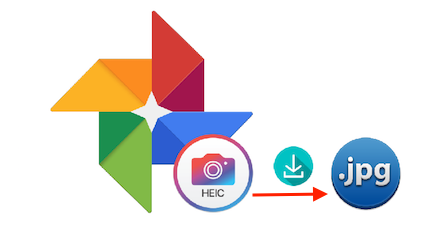 It is a free and easy-to-use tool that offers a hassle-free way to convert HEIC file to JPG with preserving EXIF metadata. You can simply drag and drop HEIC files or folders you want to convert to JPG to the tool interface. 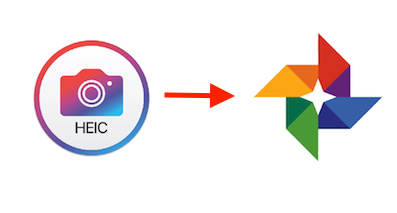 Here is the step-by-step guide on how to convert HEIC photos to JPG for free using AnyGet HEIC Converter. 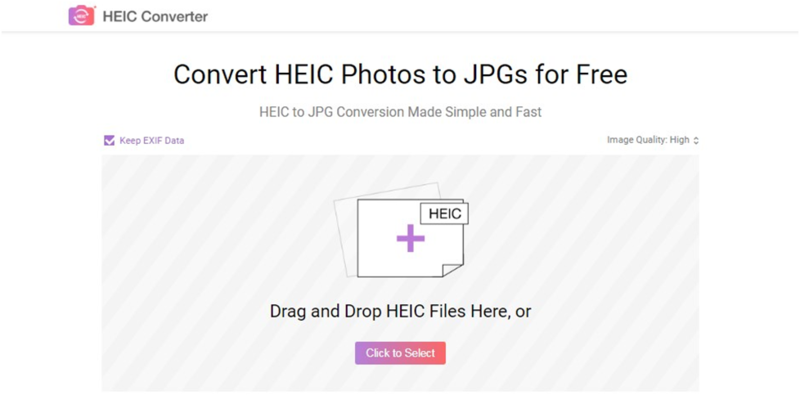 Step 1Open this Free HEIC-to-JPG Converter site on your system browser and then, click on “click to Select” or simply drag and drop HEIC file you want to change. Step 2Now, the tool will begin the conversion process and it will take 1 to 2 minutes to get it competed. Step 3Finally, tap on “Download JPG” button after HEIC images are converted successfully and files will be saved to your system as JPEG format. Hence, now you have seen yourself how much it is easy and simple to convert HEIC to JPG free and all thanks go to the wonderful tool, like AnyGet HEIC Converter. So, if you have HEIC images that can’t be open by image editor you are using then use this online free tool to convert images into a most compatible format.